He dreamed of becoming a doctor and now he is addressed as Dr. Pablito Magdalita. Instead of a medical degree, however, he has a PhD in Plant Breeding and Plant Biotechnology from the University of Queensland, Australia. “I went from wanting to help human health to plant health. It’s ultimately about wanting to help improve lives through science. I loved all my science classes in high school,” Magdalita says. Going into medicine was something his family couldn’t afford. His father was a coconut farmer and his mother was a storekeeper. Practicality and a scholarship from the Philippine Coconut Producers Federation, Inc. prompted him to take up agriculture at Luzonian University (now Manuel S. Enverga University Foundation) in Lucena City, Quezon in 1978. If it weren’t for that decision, Magdalita wouldn’t have started the journey to becoming the scientist he is today—one known for his work on numerous hibiscus hybrids, several varieties of fruits, and on plant breeding, genetics, and diseases. He holds a patent for the ACC oxidase gene and its use and is currently awaiting the grant of another patent from the Intellectual Property Office of the Philippines for the coat protein of the papaya ringspot virus (PRSV). With principal breeder Dr. Violeta Villegas, he co-developed the papaya hybrid Sinta, which is tolerant to PRSV. The other fruit varieties he co-developed include the Aguinaldo guyabano, Amarillo rambutan, Mabini jackfruit, Mapino chico, Red Princess cashew, Roja rambutan. 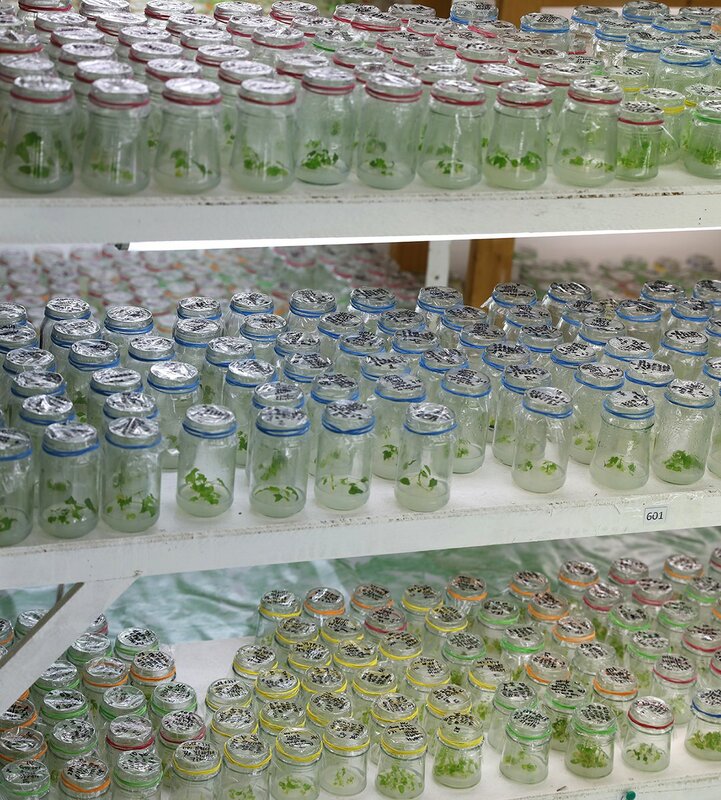 “At first it was curiosity, then it was excitement about the possibilities of how I could make crops better. I was inspired by the challenges posed by my professors in plant breeding to create improved crops through breeding and selection,” he explains about his agriculture courses. Just like that, the dream of becoming a medical doctor was soon forgotten. “The environment in UP is competitive, so I am inspired to be productive,” Magdalita says, describing his 35-year stint in the University. 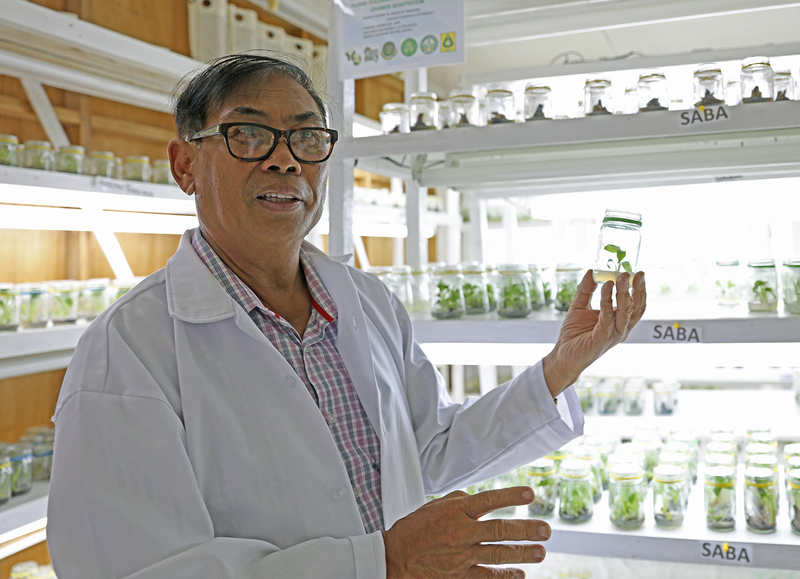 He started as a research aide in 1982 at the Institute of Plant Breeding (IPB) and enrolled in UP Los Baños’ Master of Science program in 1983, majoring in Plant Pathology and Plant Breeding. Moving up the ranks to become a research assistant, research associate, and eventually a university researcher, Magdalita spent most of his UP life conducting various studies and experiments on the development of ornamental and fruit crops. After his doctoral and post-doctoral studies on plant breeding, plant biotechnology and genetic engineering from the University of Queensland in the late 1990s, he was asked to teach molecular biology and biotechnology courses at the Institute of Biological Sciences, but not as a full-time faculty member. It wasn’t until 2010 that he officially joined the ranks of UP faculty at the College of Agriculture and Food Science. And he hasn’t stopped doing research. Magdalita begins a typical workday by waking up at 4 am to get some writing done for his journal articles. “I do a little work before physically going to work.” He’s in the field around 8 to 9 am, then proceeds to his classes, does paperwork for administrative committee assignments, checks up on his laboratory at the IPB, and then goes home. Scientists like Dr. Magdalita are often invisible to the public they serve, but he doesn’t seem to mind. He has been honored by his scientific and academic peers for his research. And while he takes pride in his accomplishments, they don’t compare to the satisfaction of knowing his work helps farmers and local communities, contributes to countryside productivity, and is enjoyed by the wider public. His work on ornamentals and fruits continues. He reveals that they are looking into creating varieties of different-colored sampaguita and thorn-less bougainvillea, among others. He is interested in exploring other crops with health and wellness benefits as well. He also says we should watch out for three new varieties of papaya, which they started working on in 2005. 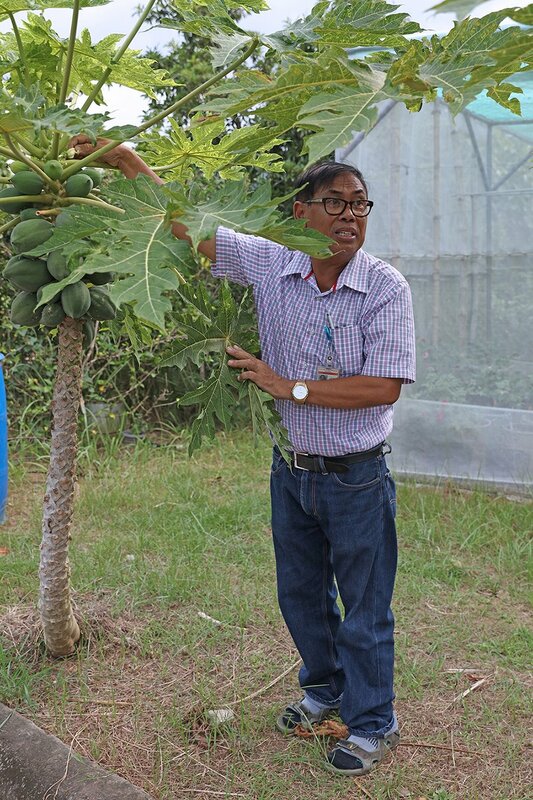 In three years, the sweet Hirang, Liyag, and Timyas hybrid papayas are expected to hit the market.